Nearly two-thirds (60%) of UK chief executives identify employee mental health as a priority, yet just one in six (16%) employers has a defined mental health strategy, a study has suggested. According to the research conducted by the Reward & Employee Benefits Association (REBA) in association with Punter Southall Health & Protection, only 37% of organisations without a mental health strategy planned to introduce one in the next 12 months, while a further 26% predicted they would have one in place by 2020. Almost half (45%) of the employers polled had a general wellbeing strategy, the Employee Wellbeing Research 2018 found, up from 30% in 2016. Eight in 10 (84%) organisations without a wellbeing strategy planned to put one in place within the next three years. Nevertheless, average wellbeing spending remained relatively low, the report claimed, at between £26 to £50 per employee per year. Debi O’Donovan, director at REBA, commented: “Ensuring that the mental wellbeing of employees is safeguarded must be a priority and it is encouraging to see that over 80% of respondents highlighted this as an area that they will focus on. John Dean, chief commercial officer at Punter Southall Health & Protection, added that, while it was encouraging employers saw mental health as a priority, it was concerning few strategies were being driven at board-level. “For wellbeing programmes to succeed, it is essential they are integrated into the business strategy and prioritised by the board,” he said. 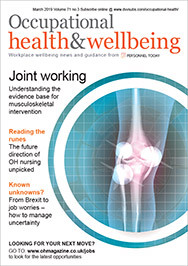 Of the organisations with a wellbeing strategy, 85% had a programme to encourage physical activity, a similar percentage (85%) had a strategy that addressed health and safety issues and 84% had a plan to help employees’ mental health. Work-life balance was considered in 73% of wellbeing strategies, while 69% covered nutrition and healthy eating. Employee assistance programmes were the most popular wellbeing perk, offered by 93% of employers, followed by occupational sick pay schemes, which were offered by 83%. The number of employers with financial wellbeing programmes increased from 47% in 2017 to 52% in 2018. A further 31% said they planned to introduce one in 2018. Three-quarters of the employers surveyed offered discounted or free gym membership to their staff, while 64% provided health screenings.